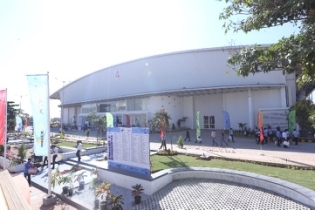 Bangalore International Exhibition Centre’s newly constructed Hall 4 was conferred with a ‘Gold’ rating by Indian Green Building Council (IGBC) under its ‘New Building’ rating system. 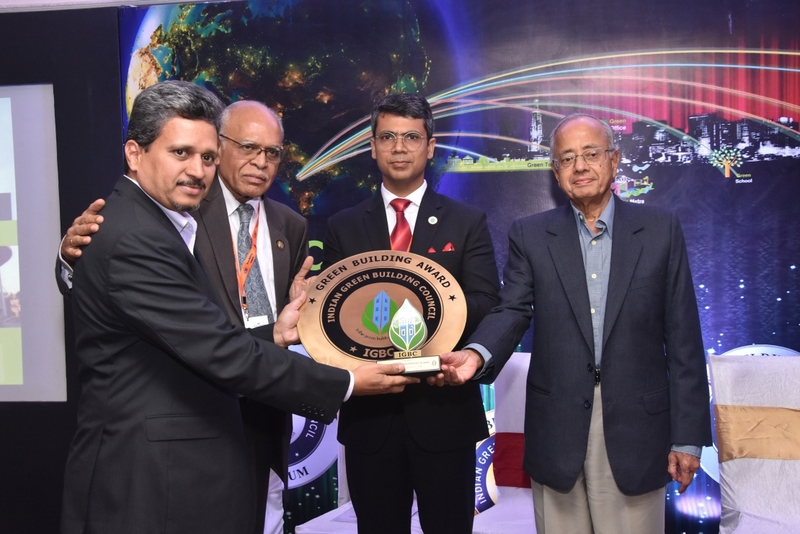 The prestigious award instituted by IGBC was presented to Director General and CEO, V. Anbu on 5th October 2017 at an award function during the Green Building Congress 2017 held at Hotel Clarks Amer in Jaipur. IGBC was established by the Confederation of Indian Industry (CII) to enable a sustainable environment for all stakeholders. “The award has been a crowning achievement for BIEC in its efforts to usher in a ‘green building’ movement in India. BIEC will continue to strive to provide a world class infrastructure for organizing exhibitions, besides promoting a green environment for exhibition organizers and visitors,” said Chairman - Exhibitions, IMTMA, Jamshyd Godrej. Today, BIEC is a state-of-the-art venue for several leading international and domestic exhibitors to showcase their products and the newly built Hall 4 is a reflection of the Centre’s innovative design and sustainability. The hall has a large span of 75m columnless lattice frame structure and length of 235 m.
There are additional entry and exit gates for cargo movement on all sides of the hall to facilitate quicker movement of cargo trucks and reduce set-up time for show organizers. Specially designed air conditioning system with 1100 ton chillers for cooling. Five toilet blocks on both sides of the hall at equidistance which reduces walking time. Six visitor entry and exit gates for smoother footfall. Improved efficiency in space allocation which gives the luxury to put larger stalls without hindrance. Safety features such as fire detection, panic bar enabled fire doors, CCTV cameras, Wi-Fi, etc. which make the hall a world class experience in itself. IGBC devised a rating mechanism for buildings on a scale of platinum, gold, silver, etc. for following green building specifications. BIEC received a gold rating for its Hall 4 for maintaining green building norms. With this award, BIEC has set a benchmark in the exhibition industry in maintaining green norms and has thus become an inspiration for other exhibition and convention centres in India to follow the path of sustainable development.